HippoCampus @ IROS 2017 in Vancouver | Fertig zum Ausschwärmen! HippoCampus @ IROS 2017 in Vancouver – Fertig zum Ausschwärmen! Do you remember our post on monocular localization? 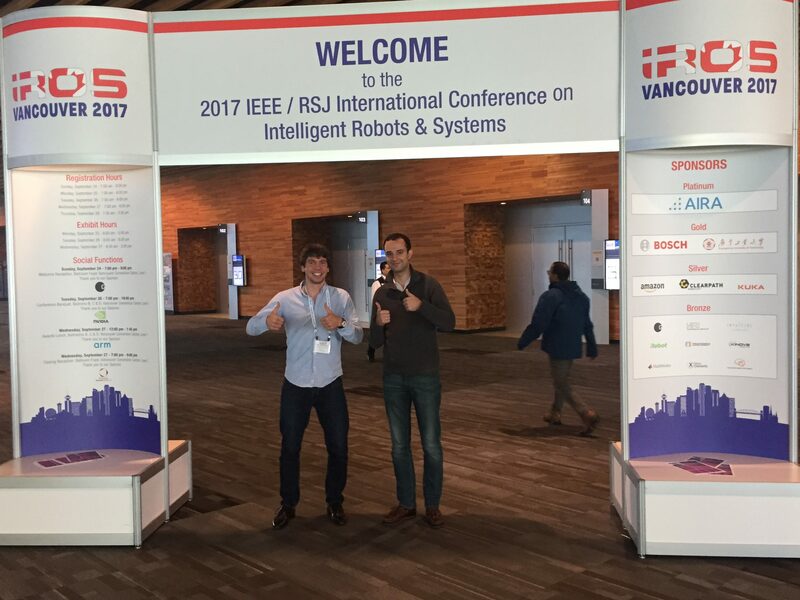 Eugen and Daniel went to the International Conference on Intelligent Robots and Systems (IROS) in Vancouver, Canada, to present their arcticle and the HippoCampus project. IROS is one of the most prestigious conferences in the field of robotics. They came back with a long list of new ideas to work on!